Spring and autumn are the best seasons for tree planting, but containerised trees can be planted throughout the year - keep them well watered, to help the root systems esablish. 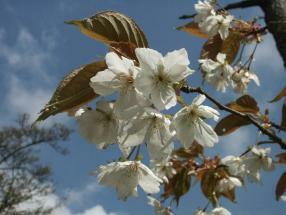 We stock a range of ornamental trees, some beautiful in flower, such as lilac, laburnum, and flowering cherries, others have feature foliage, such as acers, maples, liquidambar and parrotia. Then there are those that have attractive bark, are evergreen, bear berries, have a weeping habit, grow to a great height, all adding an extra dimension to your choice of tree and the role you want it to perform in your garden. This is just a small selection of the ornamental trees usually available here at Avon Mill.